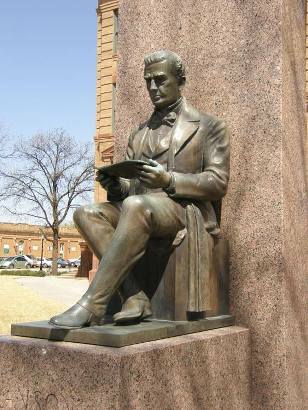 Anson Jones was a doctor, businessman, congressman, and the fourth and last President of the Republic of Texas (1844). 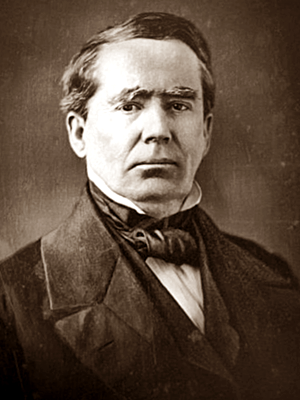 He is sometimes called the "Architect of Annexation". Most importantly to Odd Fellows history, he is thought to have been the first I.O.O.F. Grand Master of Texas, but actually this is only partly true. 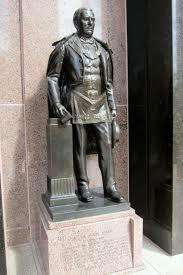 He was the first Grand Master of the Texas Masons... not for Odd Fellows in Texas. Jones was in fact the 12th I.O.O.F. Grand Master in Texas (﻿﻿﻿see list of PGMs﻿﻿﻿) . Reportedly Dr. Jones became an Odd Fellow sometime between the years of 1823 - 1831. He became a member in one of the five or six I.O.O.F. Lodges in Philadelphia. When he was a Past Grand Master he once said "I have been an Odd Fellow almost from the time it was established in the United States... which was on April 26, 1819. 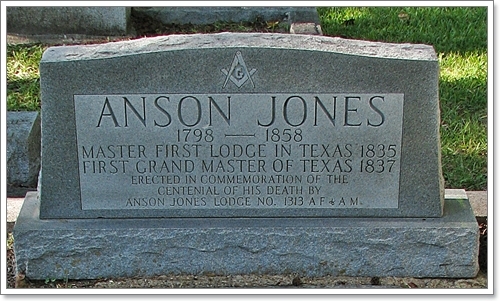 Dr. Jones was elected Grand Master in 1852 even though it was determined that he had been a part of the Grand Lodge for a short period of time. It was his prominence that got him elected with little resistance. 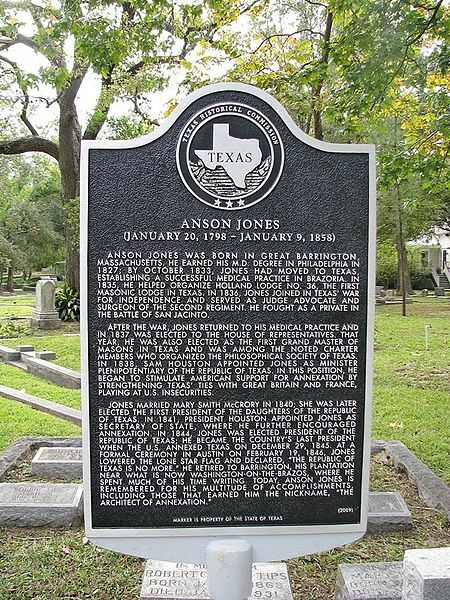 Dr. Anson Jones was also a Representative from Texas to the Grand Lodge of the United States which convened in Philadelphia in September of 1853. Dr. Jones introduced several resolutions that still govern our order today. During Dr. Jones term he was credited for granting dispensations for at least seven new lodges, one of which was Carthage NO. 84 which is still active today. Located at Glenwood Cemetery in Houston, Texas. 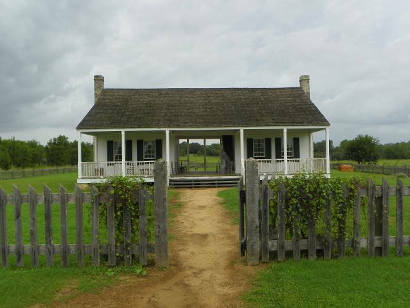 Anson Jones' wife, Mary Smith Jones & their home known as a dogtrot house or breezeway house.